These are some of our repeat customers, for whom we have done Web Design or maintenance, created custom programs, and/or take care of their Business`s IT needs. Get all your graphics needs fulfilled here: promotional items, business cards, flyers, brochures! 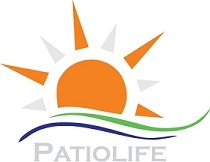 Quality Patio and outdoor products built to suit your home! Perth Fitness and Gym Instructor classes and training. Vitalicious constantly works hard to ensure we deliver the finest fruit to companies and offices. Western Australia's leading Commercial and Industrial Builders, with expertise in the design and construction of buildings of any size. Experts in design and manufacturing of vinyl graphics, both for cars and signs. Providing security services to Western Australia, including crowd control, security patrols, CCTV installation and much more! !